Trying to get rid of restless leg syndrome can be a pain for anyone who has it. This disorder can make it really difficult for the sufferer to get the relaxation and sleep that they need due to the sensations that are going on throughout their legs. It is estimated that about 10% of the adult population in America suffers from RLS. If you are one of the sufferers of RLS, it is possible to take particular herbal and mineral supplements that will help you to relax and finally get rid of RLS for good. Magnesium is a mineral that most people are not getting enough of in their diet and evidence has pointed to this mineral being among the most compelling nutrients for getting rid of RLS. Sometimes even with a healthy diet and supplementation, it can be really difficult to get the proper amount of magnesium. This is often due to the fact that magnesium helps with so many important functions in your body. 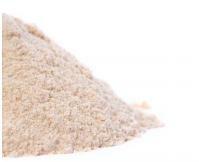 In fact, it is known to assist in over 300+ different biochemical reactions in the body. In addition to all of the other bodily functions that it supports, magnesium has been proven very effective in treating restless leg syndrome. Since this vital electrolyte helps to support your nerve and muscle functions, it may be able to slow down and eliminate the amount of sensations that you are feeling when restless leg syndrome occurs. To get the best results for your RLS, you should choose a supplement that contains magnesium malate. This supplement is effective at opening up communication between the various parts of your body while calming down your nervous system because it is a chelated form of magnesium, which makes it way more bio-available because of its ability to cross the blood-brain barrier when compared to typical magnesium oxide or citrate. Once it is able to cross the blood-brain barrier, it can magnetically bind with aluminum and other toxins that clog these dopamine receptor sites, safely flushing these toxins from the body. Once these receptor sites are clear again, they are able to receive dopamine neurotransmitters effectively again and balanced communication between these receptors is restored so that RLS symptoms can subside. Some studies have shown that people who do not have adequate levels of folic acid and B12 in their diets are linked with having more severe cases of restless leg syndrome. 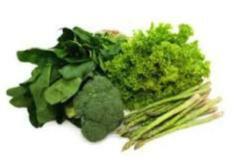 Folate is easy to find and get into your body as long as you are willing to take the time to eat a healthy diet. 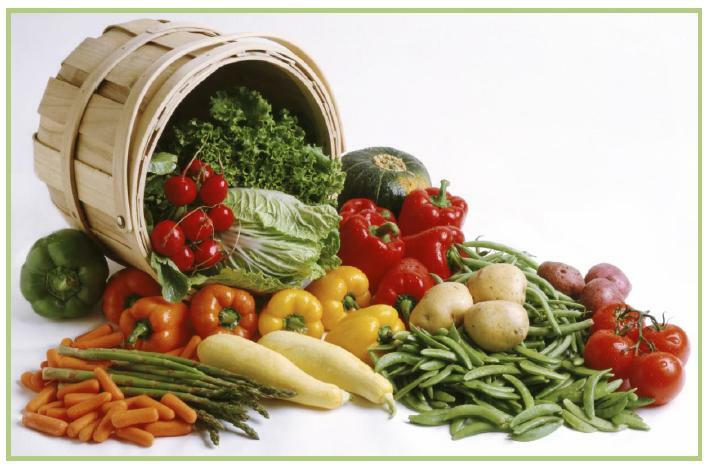 For example, you can find folate in foods such as asparagus, spinach, flours, rice, pastas, cereals, rice, and bread. In order to get more vitamin B12 into your diet, you should eat a lot of meat, eggs, and dairy products each day. Supplementing with folate can also help you to deal with your restless leg syndrome if nothing else seems to work. Often, we hear from expecting mothers who contact us for how to get rid of RLS because they have recently begun having symptoms when they never had before. The developing fetus requires a lot of folic acid and B12 and often, if the mother-to-be isn’t supplementing with enough of these nutrients, she becomes depleted in them and RLS symptoms have appeared out of nowhere. Another study that has been done on this was in 2001, in the Journal of Women’s Health and Gender-Based Medicine, several women were studied throughout their pregnancies. None of those followed ever had to deal with RLS before the pregnancy, but by the time they had reached their third trimester, 23% had the syndrome. There have been some studies done to show how iron is effective in helping relieve the symptoms of restless leg syndrome. There are many people who believe that when the body is low on iron, it is part of the cause of a disorder of the neurons in the brain and can cause restless leg syndrome. Many RLS sufferers when they are researching how to get rid of RLS, may read that supplementing with iron is the solution because RLS can be linked to low iron levels in the brain. However, simply taking iron is not how to get rid of RLS. In fact, it can be dangerous. Many experts advise against taking a supplement that contains iron due to the fact that it is a heavy metal and can be dangerous in large amounts. 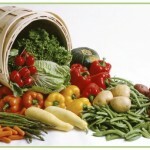 A great alternative is to eat foods and supplements that help in the body’s absorption of iron. Probiotics are one of those foods. A double-blind study that was sponsored by a hospital in Minnesota, evaluated probiotics in the treatment of children with iron deficiency and concluded that a significant number of test patients improved their intake of iron. The problem with taking more iron to get rid of RLS is that the body may actually be showing normal blood serum iron levels in the body, which is often the case. 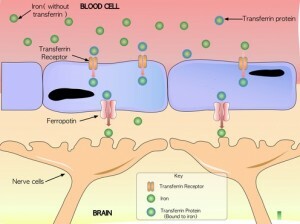 The issue is really the low levels of iron in the brain. It’s with how the body is able to metabolize this iron that is the real issue. So it doesn’t matter how much iron you’re taking, if your body isn’t metabolizing it properly, it’s not going to reach where it counts the most which is within the deep brain tissue (substantia nigra) region. In fact, as we mentioned before, taking more iron can actually cause more serious health problems than restless legs, as iron is a heavy metal and is highly toxic in larger amounts. It also has the likelihood to cause a significant flare-up in your RLS symptoms. Most people seem to overlook, while researching how to get rid of RLS, the importance of getting enough antioxidants in the diet. When you are not getting enough antioxidants into your diet, it can mean that a high number of free radicals are being left to roam in your body. When free radicals are running lose in your body, it results in a limited functionality of the body that can results in many medical issues, including restless leg syndrome. To avoid these problems, try consuming plenty of antioxidants, typically these are most concentrated in the brightest and most colorful fruits and berries. They are known to help remove these free radicals and get your body back into balance again. A great source of antioxidants can be found in wild blueberries, bell peppers and oranges. An effective and proven supplement for antioxidants typically will contain folic acid as well as magnesium malate, which has the ability to bind to these toxins at the cellular level. 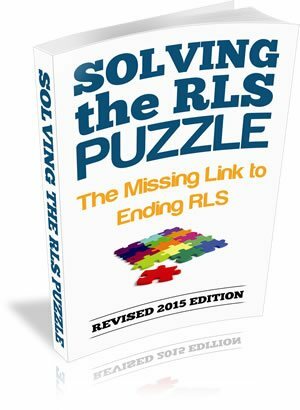 To get our latest guide on how to end RLS called “Solving the RLS Puzzle,” go to the top of this page and click on the “Download Now” button for your free, instant download. O’Keefe ST, Gavin K, Lavan JN. Iron status and restless legs syndrome in the elderly. Age Ageing. 1994;23: 200-203. This entry was posted in Uncategorized and tagged get rid of restless legs, getting rid of rls, how to get rid of restless leg syndrome, how to get rid of rls.